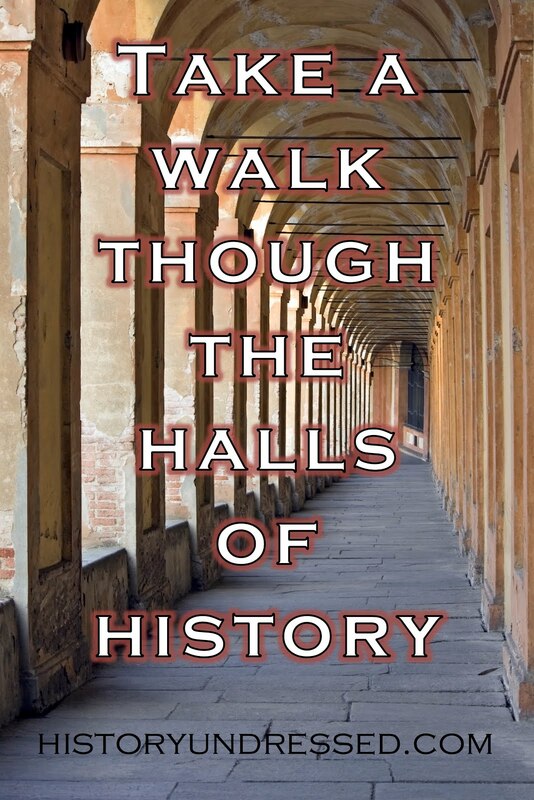 Welcome back to History Undressed, my good friend and amazing Scottish romance author, Vonda Sinclair! She's giving us the Castle of the Week -- Stalker Castle, and she's sharing with us some beautiful pics she took on her trip to Scotland. Enjoy! Castle Stalker (Caisteal an Stalcaire) sits in one of the most dramatic and beautiful settings in Scotland, on a small island (or islet) known as Cormant's Rock in Loch Laich, just off Loch Linnhe in Port Appin, Argyll, Scotland. If you're traveling there, it's midway between Oban and Glen Coe. On our travels, because we had gone through Glen Orchy, we went ten miles or so off route just to see the castle and eat a nice lunch at the Stalker View Café. From these photos you can see it was a very cloudy day and it started raining while I was taking pictures. Stalcaire or Stalker means hunter or falconer. Even today in Scotland, deer hunting is called deer stalking. We didn't get to visit the castle because a boat is required. The castle is fully restored, habitable and privately owned. A few tours per year are available. Castle Stalker as seen today is original from the 1400s. But before Castle Stalker, the MacDougall Clan, Lords of Lorn, held a small fort on the islet, which is great for defense, in the early 1300s. The MacDougalls lost this title because they were defeated by King Robert the Bruce at the Battle of the Pass of Brander in 1308. They regained the title and lands after 1328 and held it until around 1388 when the Lordship of Lorn passed to the Stewarts along with the site where Castle Stalker sits. Most sources state that Castle Stalker as seen today was built by Sir John Stewart, Lord of Lorn, in the 1440s. The castle was built by expert stone masons who constructed parts of the walls nine feet thick. They also built a dungeon beneath it and there is still a record of those who were held here. Sir John Stewart is known to have had an illegitimate son, Dugald, in 1446. In 1463 he wanted to make his son legitimate by marrying his son's mother, a MacLaren, at Dunstaffnage (a castle near Oban.) But John was attacked and mortally wounded by Alan MacCoul, a MacDougall, because he and a large group of men were trying to prevent John from continuing the Stewart line. John Stewart did live long enough to marry the mother of his son, therefore making him legitimate so he could inherit. There was a lot of plotting and political manipulation going on at the time between many clans because the Lord of the Isles, who held a lot of power in the west, had a major conflict with the king. And of course, the Stewarts of Appin being both powerful and loyal to the king were seen as a threat. It is believed that the Lord of the Isles was behind the assassination of John and that others who went along with the murder plot could have been Colin Campbell, Lord Argyll. The murderer, Alan MacCoul was the illegitimate grandson of an earlier MacDougall chief. Dugald Stewart became the first Chief of Appin. But he lost the title of Lord of Lorn because of his uncle, Walter Stewart's treachery and plotting with the Lord of Argyll. Walter ended up with the title but with no authority. A battle took place in 1468 across from the castle called the Battle of Stalc in which the Stewarts banded together with the MacLarens and defeated the MacDougalls and MacFarlanes (acting in the interests of Colin Campbell and Walter Stewart.) Dugald himself killed his father's murderer, Alan MacCoul. The MacFarlanes were defeated and never able to fully recover. The outcome of this battle solidified Dugald's claim to Appin. This area was formally granted to him by King James III on April 14th, 1470. Dugald Stewart was killed in 1497 in a battle or skirmish in which the Stewarts and MacLarens were allied against the MacDonalds of Keppoch. The reason for the conflict was the stealing of cattle. What's interesting is one source says the MacDonalds stole the cattle. Another says the MacLarens stole the cattle from the MacDonalds, but the MacDonalds followed them and once they caught up with them a battle took place. The MacDonalds won and recovered their cattle. But the MacLarens asked Dugald Stewart for assistance. Then, another battle between those clans took place in which both Dugald and the MacDonald chief were killed. Dugald's son, Duncan Stewart, succeeded him as Chief of Appin. King James IV and V were cousins of the Stewarts of Appin and often traveled to Castle Stalker to hunt. Duncan Stewart led the clan until 1512 when he was murdered by the McLeans. His younger brother Alan succeeded him. He and his five sons fought in the Battle of Flodden and all survived, though the king didn't. 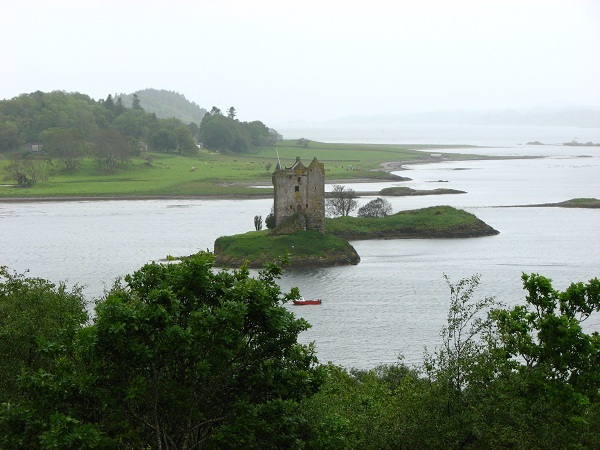 The Stewart clan held Castle Stalker until 1620 when the Campbells of Airds acquired it in a drunken wager by the 7th Stewart Chief, Duncan, in exchange for an eight-oared wherry or beorlin (a rowboat). The Stewarts, under Ardsheal, regained the castle in 1689 when they sided with King James VII (and II) against King William. After their defeat at Dunkeld, Castle Stalker again was to be granted to the Campbells. But the Stewarts refused to give it up. The Campbells lay siege to the castle for several months until the Stewarts were granted an honorable surrender in 1690. In the Rising of 1745, Castle Stalker was held by the Campbells and a garrison of 59 government troops. The Stewarts (Jacobites on the side of Bonnie Prince Charlie, their very distant cousin) attempted to take the castle with a force of 300 men but the castle proved too strong with its thick walls. At the famous Battle of Culloden, Charles Stewart of Ardsheal led a company of 300 men from 19 clans. The Appin Regiment suffered 92 killed and 65 wounded. After the Battle of Culloden, the government used the castle as a center where Jacobite Highlanders had to surrender their arms. 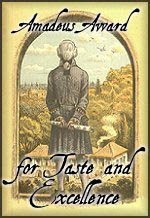 And Stewart of Ardsheal went to Europe. 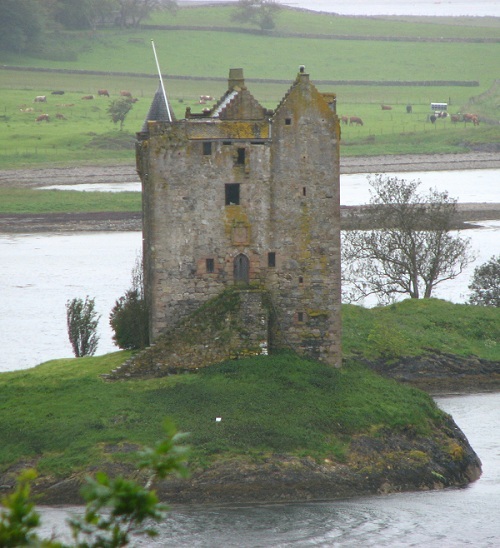 The Campbells lived in Castle Stalker until around 1800 when they built a new house on the mainland at Airds. Castle Stalker became a storehouse. Around 1840, the roof fell in or may have been removed so the owner could avoid paying a roof tax. The castle was abandoned until 1908 when Charles Stewart of Achara purchased it from the Campbells and did some preservation. In 1965, Lt. Col. D.R. Stewart Allward purchased the castle and spent ten years personally rebuilding and restoring it as it is today. It is now owned and run by his children and grandchildren. Leave a comment for your chance to win a copy of MY BRAVE HIGHLANDER!!! 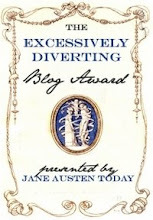 Thanks so much, Eliza, for allowing me to do a post here at your amazing blog! Thanks for the very interesting history, Vonda. Love your photos and your book cover! That is so cool. I always love your picture posts. I always learn so much reading your posts. Great info and photos. You always take such nice shots. How fun to eat breakfast and read your wonderful post this morning. Nothing better than starting the day in Scotland and such an interesting accounting of a castle. Great photos, Vonda. Thanks for sharing another part of the Motherland with us. Fasinating. I love political intrigue. Wonderful post. Awesome information, Vonda. Thanks! And LOVE your pics. I haven't gotten to Stalker yet, but hope to one day. Thanks for checking it out, Lyn! I’m so glad you like the photos and cover! Clover, thanks! I have great fun taking the pics! Thanks, Casey! Researching this info was fun and interesting to me! I wish the day had been a bit clearer so I could have gotten some different looking shots. Ella, I’m glad you liked it! There was a lot of plotting and scheming going on back then. Thanks! Alexa, I hope you get to Stalker soon! It’s a really breathtaking place. Thanks! Fascinating, Vonda. Thanks for sharing. It's hard to believe that a place with so much political history and war attached to it became a storehouse and was then abandoned. Thank goodness for the people who have the means and desire to restore such castles. Incidentally, we drove past Castle Stalker a couple of weeks ago when we visited Oban. Stunning area, and so full of intriguing history. Thanks, Julie! Yes, it's sad that it became a storehouse and then was abandoned. I would imagine restoring an ancient castle like that would be a huge amount of work but incredibly rewarding. It's such a huge piece of history. Cathie, thanks for checking it out! How awesome that you drove past it so recently! I love the whole Argyll area! The scenery is jaw-dropping. And the winner is.... Paisley!!! Congrats!!!! And thanks for everyone who stopped by and to Vonda for an awesome post!